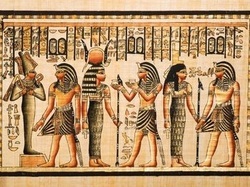 The Egyptians are among some of the most successful ancient civilizations due to their understanding of the land, their reliance on the Nile as a food and water source and successful trade. 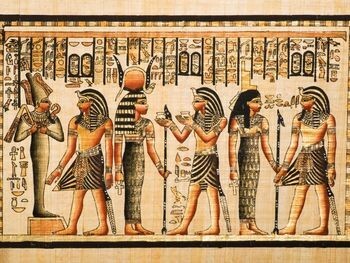 The ancient Egyptians were a very skilled and hard-working society, whether they were farmers, builders, servants, craftsman or scribes. 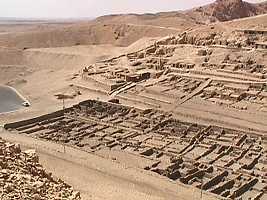 All these factors contributed to making Egypt a prosperous civilization in ancient times. Many of the towns in Egypt are built along the Nile river for food, farming and trade. The houses were designed to cope with Egypt's climate, flat roofs, vents, two-stories and terraces. In large towns there was a lot of available work, for both men and women mainly involving farming, building, selling goods and trade. often at these parties there was entertainment such as acrobats and performing animals. looked after a certain aspect of Egyptian life.